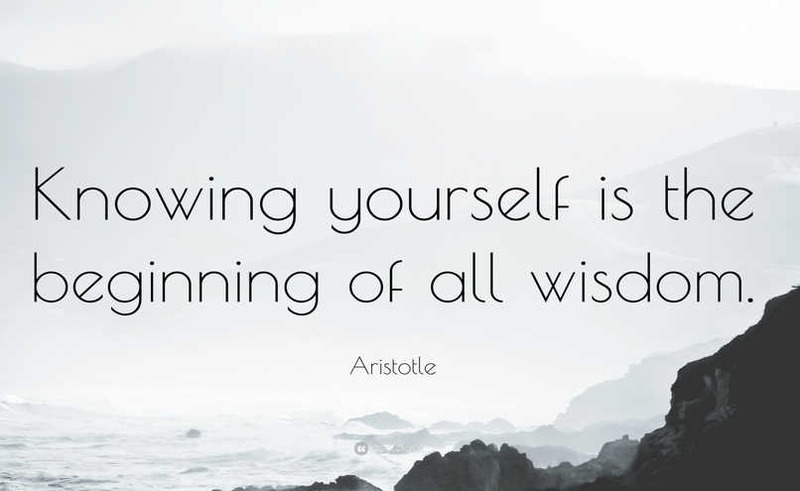 Discussion: Do you know yourself? Whether you are a Sam Harris fan or not, I truly recommend listening to the interview Sam Harris did live with Yuval Noah Harari (the interview itself is about an hour with an hour of Q&A afterwards. The first hour is most valuable). Harari is a brilliant man, and somebody who I think we should be listening to. I transcribed this passage from the interview. There are many ways I think one can know one’s self better, and I don’t think we spend enough time doing that. Moreover he argues that this is even more critical today because the technologies out there are far more capable of hacking us than ever before. Victoria over at Victoria Neuronotes often talk about the importance of understanding cognitive science and neuroscience, and how the brain works…this needs to be a regular part of our education systems, because awareness is key. But knowing one’s self should also come from meditation, introspection, and taking time to just unplug and think about who you are and what you want to be. Find yourself. On June 14th, 2017, James T. Hodgkinson walked into a baseball field where the Republican congressional baseball team was practicing and opened fire. In the end 6 people had been injured and the shooter was killed by law enforcement on the scene in a shootout. It should be no surprise that this is a situation that can easily be made political. This was not a random act of terrorism. The intent was to attack members of the GOP, and the shooter knew who would be at the baseball diamond that day, and the political views of this shooter were that of a “liberal”. Given the growing unreasonableness on the left, such as the suppression of free speech on university campuses and even outbreaks of violence, it might be easy to say that conservatives are under attack by liberals and that we must increasingly become concerned about liberals. If we look at the trends of mass shootings over the past 10 years I think we can easily see that this is not a partisan problem. This is just another of many mass shootings in this country. Another act of terror of the many that go through our news cycle, where nothing gets done. But if we want to look at direct response to shootings that were politically based, when Gabby Giffords was shot, nothing was done legislatively because of that incident so it doesn’t seem likely anything will change now. However, this administration hasn’t been terribly predictable so who knows? When the name of the shooter was identified, knowing that he shot at Republican politicians, I was immediately interested in who the man was, because I was worried that his political views would be on the democratic side and that in the face of our current administration this might spell trouble for other liberals. I imagine it is similar to the feeling a good law abiding Muslim must feel when a shooting happens. Hoping the shooter isn’t a follower of Islam. My Google search brought me to his Facebook profile. This was literally a minute after his name had been released by the news. I immediately saw that he was a Bernie supporter and was anti-Trump and naturally I groaned. Several posts were public as is typical on any profile that shares stories. What happened next was something I did not expect. People began commenting on those posts. Within a minute, hundreds of comments had been made with the larger proportion of those comments being insults hurled at the shooter. The ugliness of humanity laid bare before me, and it was painful to see watch some meaningless rage. One might argue that had this rage been directed to the actual shooter, maybe we could somehow have sympathy for such actions, but the shooter was dead. The only people that could possible see this was family. The anger could only hurt people who were only guilty of knowing the shooter. No information about his family supporting him had been reported. He could have been divorced, estranged, hated by them. Perhaps they knew the man he once was and were simply saddened by the whole situation. They were perhaps as appalled as anyone else at what Mr. Hodgkinson had done, and were simply grieving at the death of a man they thought they knew, or once knew. I don’t understand people. Unless a shooter actually killed somebody that I loved, I can’t imagine myself feeling enough rage to do the equivalent of “spitting on his grave”. But I then reflected on my initial reactions to the shooting. They were none too virtuous either. Worried about how my “group” might be perceived in the future. And yes even the thought of the irony of Republicans against gun laws, paying some penance for their views floated through my brain. I am not proud of it, but perhaps this is what we’ve become in a society full of these incidents. Of course, it’s also natural to have such thoughts, but what actions you take are, in the end, more important. Despite my thoughts I did not get angry and lash out at anybody. No shame or mocking. This is a serious and sad incident and that is the most important position we should take on this matter. And as I saw comment after comment pour out I knew there was something important to be learned here, and wanted to take a few days to collect some thoughts and see what that might be. I am not sure I’ve completely figured it out, but unfortunately I can’t help but worry that things aren’t going to get better here in the U.S. anytime soon. CNN laid out quite distinctly all his liberal viewpoints, and that he was anti-GOP, and frustrated by the corruption and income inequality in this country. The entire laundry list describes most people I know in my life who would never do something like this. And yes, of course you never know, but I can at least say that probabilistically 99% of the people I know will not do something like this. 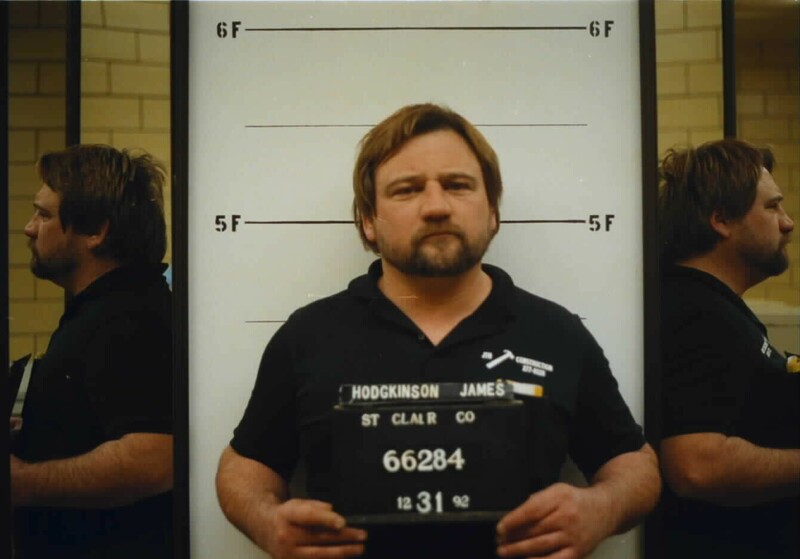 When we say that shooters like Dylann Roof are racist and that’s why he did what he did, or that Mr. Hodgkinson was a liberal or Bernie supporter and that’s why he did what he did, is this a fair thing to say? I don’t believe so. It ignores the many people who share similar views but don’t do these types of things. 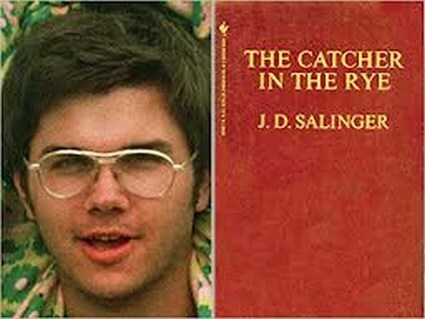 We know John Lennon’s shooter was inspired by Holden Caulfield in Catcher in the Rye, but we know that millions of schoolchildren have read the book and certainly had no murderous thoughts because of the book. The first thing that we have to be honest about, if we truly hope to lessen violent crimes like this in our culture, is that people who do these kinds of things are the confluence of more than one factor. For any one behavior or trait, or any one environmental influence that you find in the shooter, you will find no solution to what makes somebody do this. In the population of people that represent any one behavior or influence you will find far more non-killers than killers. I should point out that there is one trait that all these acts of terrorism have in common. The killer is male. Yet of course we will still find far more males who aren’t killers, but it should at least make us ponder, what is it about being male through nature or nurture that increases the odds that they will become a perpetrator of these types of mass shootings? One of the main points to come out about the shooter is his domestic abuse charge. Why would someone like this be able to legally own firearms? I’d like to look at this from two perspectives. 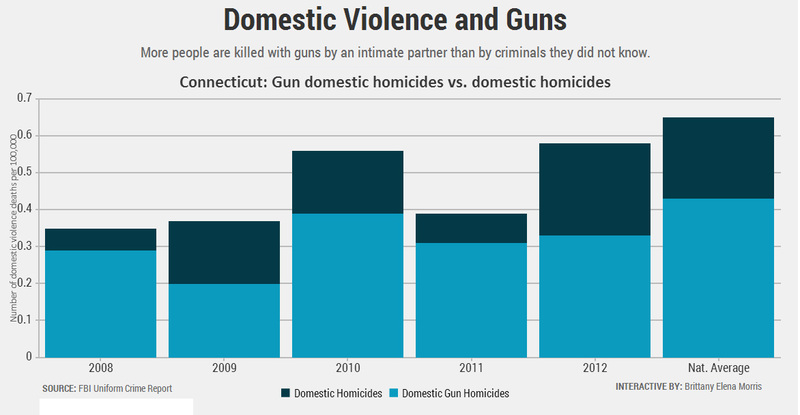 On one hand, it’s easy for everyone to get up in arms about a domestic abuser having a gun, given how often women are the target of incidents with firearms, this should be a no-brainer. And maybe it is, although there are apparently some loopholes as discussed in the Slate article I just linked, but here is the problem: he was never convicted. This matters. It must. If we simply start denying people rights based on charges, then the rule of law has no value. On the other hand, women know all too well about this kind of abuse. It is very difficult to get a conviction for domestic violence. What happens if your abuser threatens worse if you report them? What happens if you do report them thinking, well they will be behind bars so I’ll be okay. But what happens if you report it, but the cop doesn’t take you seriously? Or the justice system fails you? In reading about Mr. Hodgkinson’s domestic abuse case (it was against a daughter and a friend of the daughter), the case seemed a bit strange. Though charged, he was never convicted because the victims never appeared in court? Why would this be? Perhaps they knew his temper. Perhaps he threatened them. These are all likely scenarios and so the question then becomes, how do we deal with this type of person. If we believe that evidence is still necessary for conviction, how do we get more people to come forward about their abusers? How do we protect those victims adequately during and after their case, win or lose? This is a problem we’ve been trying to tackle for years and there has been some progress, but not enough. The progress that has been made has been a result of the rise of feminism. Yes you may actually have to become a feminist if you want to make the situation better for those who experience domestic abuse. And just because I am sure somebody reading this might say men are the victims of domestic abuse too, I shall freely admit that, yes, this is true. But that doesn’t mean believing in gender equality is going to make you forget about male victims. In fact, fighting gender stereotypes that oppress women actually makes things better for men. Narrow definitions of masculinity and femininity also play into why a lot of men don’t get believed when they say they are victims of abuse. 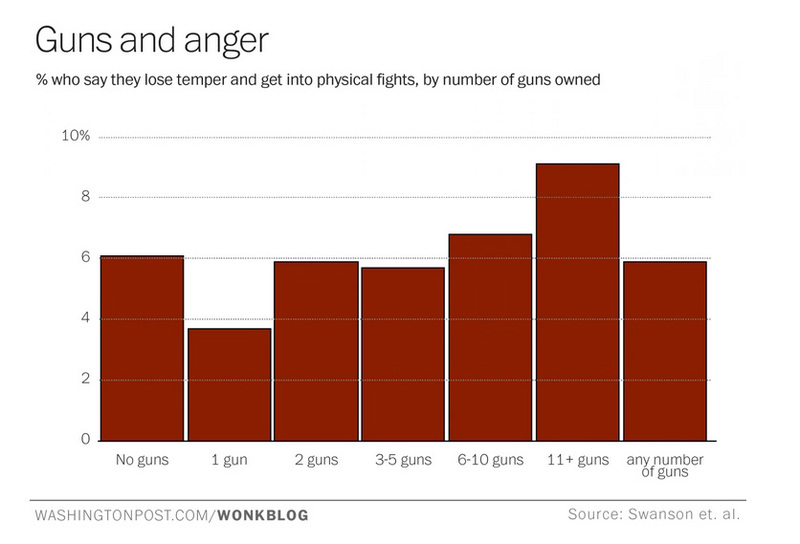 The paper also has a somewhat alarming graphic about men who experience excessive anger and gun ownership. This is only one study and hopefully more research will be done in this area. It seems also relevant then to ask, where does the shooter’s anger stem from? Something in his childhood? Is it some chemical imbalance in his body? Is too much anger a mental health issue? I would say yes, but there are a lot of people out there who get angry. Like many things, any emotional reaction you find exists on a spectrum among people. We could easily find someone out there who has anger problems but not quite as much as Mr. Hodgkinson, and some people with a little more. Where do we draw the line and say, “this amount of anger is unhealthy, this amount of anger is healthy?” And isn’t it more on how we act on that anger? The study points again to convictions, but if there are none what then? How else might we learn about anger issues? There are still stigmas for receiving treatment for any type of emotional struggle we are going through are still strong, especially for men. In our society being aggressive and angry is valued for a man. Such stereotypes imply that if you were to get help you would be seen as weak and less masculine. Also, many people think of mental illness as only some condition you are born with or as something serious like schizophrenia, bipolar disorder, or dementia. Things like anxiety, depression, anger are things people think we should always be able to control. Unfortunately, this is not the case and excessive bouts of these things, even if it is temporary within your lifetime can lead to some pretty unhealthy outcomes. So far, I don’t think I’ve said much new, but I guess one of the other facets of this incidents that inspired me to write this post was to look at the political activism of Mr. Hodgkinson. Here is a person who has been active politically for some time. He was a local business owner, was constantly engaged in various political causes. Signing petitions, getting others to sign. He was wrote opinion pieces to his local paper. He volunteered for political campaigns. Despite his anger problems, here is a man who, at least for a solid portion of his life, tried to solve the problems in society through engagement with people and the system on a non-violent platform. I’ll quote once again from Sam Harris, because I think these words are very poignant here “…all we have is conversation…you have conversation and violence. That’s how we can influence one another. When things really matter and words are insufficient, people show up with guns. That’s the way things are.” The end of Mr. Hodgkinson’s life are indicative of a man who was suffering mentally. He was living out of a van, he looked like he was homeless. Had sold most of his things just to move to D.C. These aren’t the normal decisions someone makes and at the age of 66, it seems likely that there was at least some brain deterioration going on. But here was a man who believed strongly about the world not being right, and he wanted to make it right. And for many years he engaged in that activity non-violently. Maybe he wasn’t the best representative for his cause, but he also wasn’t wrong. There has been growing income inequality, the government is corrupt and colluding with the top 1%, and poverty increases in this country. These are good things to get angry about. Here is a man who tried for much of his life to use words, and I couldn’t help but thinking of the Sam Harris quote. The causes the shooter was fighting for really matter, for many of us it feels like words ARE insufficient, and here we have someone showing up with a gun. I am not trying to make this man seem like some sort of hero, but it made me wonder, given that this was clearly an attack on a political party, what is the difference between a terrorist and a revolutionary? Numbers and organization? I think the collective population, regardless of their beliefs, can feel helpless as words seem ineffectual in influencing change. There are so many people in this world and the weight of it is enormous given the rate we can receive information about all the terrible things happening in it. It’s more weight than our evolution prepared us for, and as one person it can easily feel like the only way to make an impact in it is to really get noticed. And violence gets you noticed. Mr. Hodgkinson has far more people thinking about him then he ever did being involved in politics throughout his life. So when you have anger issues, problems with gun laws, problems with domestic abuse, a patriarchal society, a corrupt government that doesn’t respond to the people, increasing poverty, how many more people like Mr. Hodgkinson will pop out of the woodwork? Can we stop them all? Perhaps this is a commonality among all of these types of shooters. A desire to be impactful in a world that feels unchangeable or a world that is changing with the feeling that it’s leaving you behind. Either way, the amount of women doing these things is so negligible that it seems worth asking the question why men seem more susceptible to this type of behavior. There are no easy answers here, and it’s time we stopped pretending there were. One’s politics and religion certainly play a role, but so many other things do as well. Let’s not aim for simple correlations and blame that solve nothing. We know there are societies where this isn’t as big of a problem. We are NOT helpless when we work together to build something better. Change, however, does not happen overnight. It takes patience and perseverance. I still hold hope that we can find that change through conversation instead of violence, but I won’t lie and say that a worry that violence will continue to rise grows in the back of my mind. As I think about all those people hurling out rage on Mr. Hodgkinson’s Facebook page, I wonder which angry person is the next to become violent. Which one of those angry people has a gun, and with the right confluence of factors is the next one to use it. For all my talk about conversation, I worry that not enough people are listening anymore.